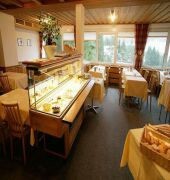 Located in Arosa (Arosa), Sorell Hotel Asora is close to Arosa Gondola Lift, Ski-Club Arosa, and Arosa Ski Resort. Additional regional attractions include Lenzerheide Ski Resort and Vaillant Arena. The cable cars and ski lifts and the bus station, numerous shops, bars and restaurants from the hotel within walking distance. Relax in the sauna of our fitness oasis, with a cocktail in the bar or Orelli a fine dinner with a glass of fine wine in our restaurant. Sorell Hotel Asora has an indoor pool, a steam room. Wireless Internet access is available in public areas (surcharges apply). 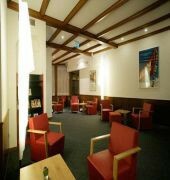 This Arosa hotel offers a restaurant, a coffee shop/cafe, and a bar/lounge. Additional amenities include a rooftop terrace, a concierge desk, and a library. 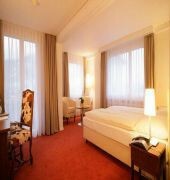 Our hotel offers 37 cozy, modern and different sized single and double rooms with shower / WC or bath / WC. The rooms are located on the west side of the hotel entrance side, the rooms facing the south-east side offer views of the surrounding mountains. There are those solely Non smoking room.